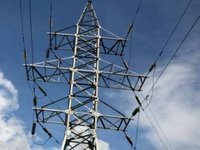 Power supply has been completely restored in the front-line settlements of Travneve and Hladosove, the press center of the anti-terrorist operation (ATO) headquarters has reported. "On December 28, in cooperation with local authorities, close coordination of the group on civil and military cooperation of the Armed Forces of Ukraine, workers of DTEK Donetskoblenergo and the State Service for Emergency Situations of Ukraine finally connected the front-line settlements of Travneve and Hladosove to power supply," the press center reported on Facebook late on Thursday, December 28. The report notes that representatives of the OSCE Special Monitoring Mission were present during repair and restoration works. The headquarters also said that the Ukrainian Armed Forces fully support and help the civilian population, restoring the social infrastructure and private houses that were damaged as a result of shelling by militants.